College Inn® broth is the first integrated brand partner of Allthecooks. AllTheCooks is (by far) the most popular recipe app on Android (and moving up the charts quickly on iOS). More than 10 million people have joined this passionate cooking community to share recipes. Founded in 2012 by the talented husband-and-wife team of Rafael Sanches and Silvia Curioni, Allthecooks’s aim is to be the top full-featured social network for people who love cooking. “We started with the simple idea of an app that helps you decide what to make for dinner based off ingredients you already have, and now we have one of the most active food communities on the web. By using our app, you get involved in the community,” says Curioni. College Inn® broth, part of Del Monte Foods, was seeking innovative opportunities to connect with home cooks in the midst of their “what should I cook tonight” decision-making process. Starcom (Del Monte’s agency) asked nativ.ly how they could reach all the cooks while they were searching for recipes on their mobile devices and we were thrilled to be able to help College Inn® become the first integrated brand advertiser on Allthecooks! It doesn’t get much more native than an College Inn® broth creating a featured profile on Allthecooks where they share their original (delicious!) recipes with the community. 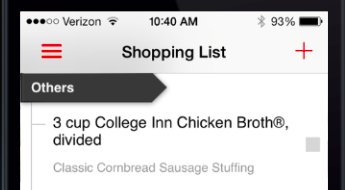 When Allthecooks users find recipes they want to make, the app has a useful “Shopping List” feature that automatically adds the required ingredients for their chosen recipes into a sorted grocery list — accessible on their phone in the grocery store. Allthecooks was selected by Google to launch one of the first apps on their innovative new Google Glass (wearable computing) platform. 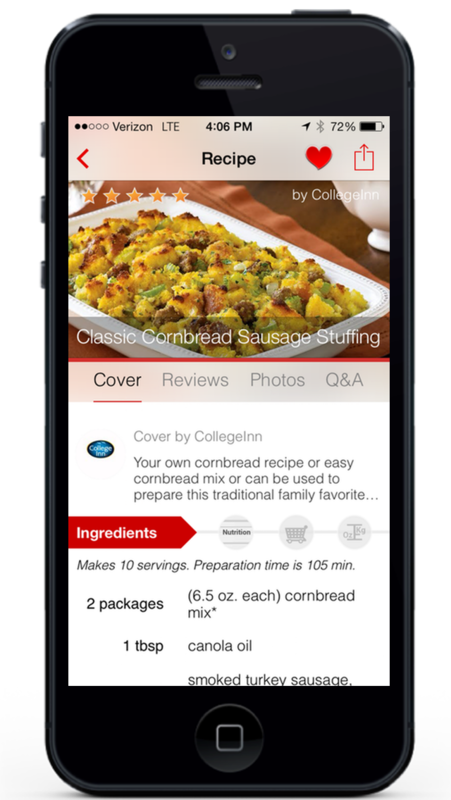 While there are no ads allowed on Glass, since College Inn’s ads are, in fact, native recipe content, these College Inn® recipes are being featured to the early adopter users if this revolutionary interface.